Many Hopes was a vision that became a reality when Anthony and Thomas met in Kenya in late 2007. The quickly found out that they had more in common than their careers in journalism – Anthony, a field reporter in Mombasa, and Thomas, a Northern Ireland newspaper columnist living in Boston. Anthony Mulongo had founded Mudzini Kweto, a home for abandoned girls, in 2006 after a few befriended street boys contacted him to help an orphaned 6-year old girl they found. Anthony had taken her in an raised her as his own as he worked to legally and socially advocate for the rights of impoverished street children. Inspired by Anthony’s story, Thomas realized that he had the international connections that could support Anthony’s work and upend the cycle of poverty. Together, they envisioned a sustainable organization that raises children with an eye for justice and the tools that will allow them to achieve it. Mudzini Kwetu was originally home to around thirty girls who lived on three acres of land with a small vegetable patch and a few farm animals. Dedicated to becoming self-sustainable, the program used primarily solar electricity and had its own well, which also was granted free access to clean drinking water to the rest of the community. They even launched a fish farm on-site to generate business revenue to off-set a significant portion of the home’s operational expenses. Seeing the need to expand, the Hovde Foundation funded the construction of a new girls’ home. The Hovde House opened in 2011, replacing the old one-story building that was over capacity. The new home is 4 stories tall, with a family occupying each floor. Sixty girls of various ages now fill the rooms. Each family home has a house mother along with four bedrooms, a living room, kitchen and bathrooms. In 2016, The Hovde Foundation renewed its support of Many Hopes with a grant for the construction of a home for abused and abandoned boys. The boys’ home will be located a short distance from the girls’ home and their school. With a structure similar to the girls’ home, the boys’ home will also facilitate a family environment. By raising boys with integrity and mutual respect, they will become men who accelerate justice and promote the rights of everyone around us. The new home is expected to open at the end of 2017. 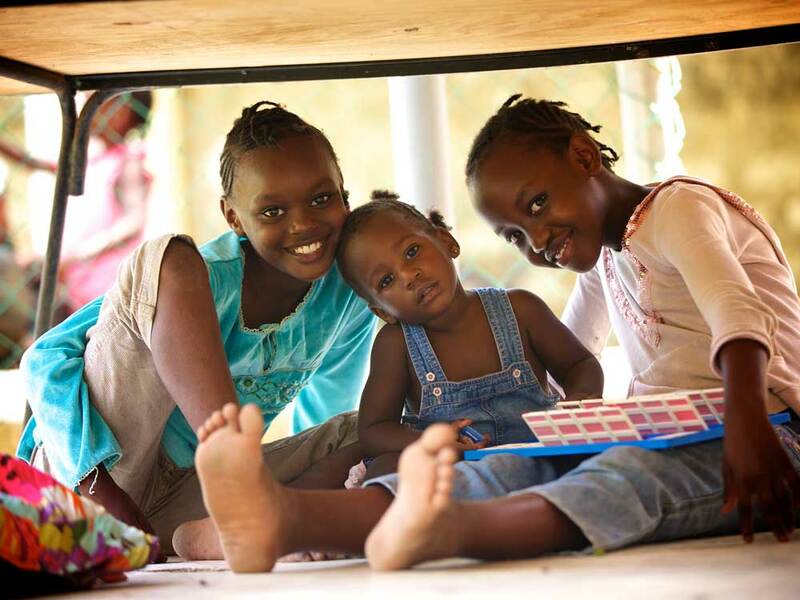 To use their words, “By rescuing, loving and educating children who have suffered the worst in life, Many Hopes is raising the generation of adults that will lead with justice and fairness and will defeat the causes of extreme poverty in Kenya.” That is what Many Hopes is today. Read more about Many Hopes, please visit www.manyhopes.org. Our Many Hopes from Many Hopes on Vimeo. Discover 2016: Thank You! from Many Hopes on Vimeo. Introducing Randy from Many Hopes on Vimeo.